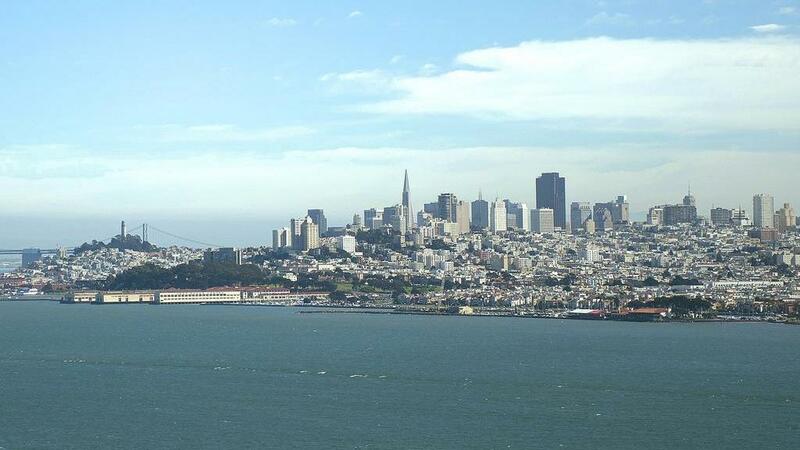 San Francisco office rents increased by 12.6 percent in 2014 percent, according to CompStak. San Francisco became one of the most expensive real estate markets in the country in 2014 on the strength of the tech industry, according to new data from CompStak Inc. Overall San Francisco office rents grew 12.6 percent in 2014, according to New York-based CompStak, which operates a database with leasing statistics submitted by industry brokers. New leases in the central business district (CBD), which includes the north and south financial district, start around $54 per square foot. Non-CBD rents are just under $50 per square foot for new leases. Deals were signed last year between $20 per square foot and $117 per square foot in San Francisco. In New York City, another top office market, starting rents ranged from $30 per square foot around Wall Street to $200 per square foot in boutique towers overlooking Central Park. There were 17 leases larger than 100,000 square feet in 2014, up from eight leases over 100,000 square feet in 2013. Salesforce.com signed the largest lease in the city's history at 714,000 square foot for the new Salesforce Tower. Tech giants LinkedIn, Twitter and Google Inc. also signed leases ranging from 242,000 to 280,000 square feet, according to CompStak. “These companies are transitioning from startups into corporations. A lot of them have solid business models and are growing rapidly," said Blake Toline, a research analyst at CompStak. Recent leases outside the financial district include crowdfunding website Indigogo taking 28,000 square feet at 956 Mission Street for four and a half years. Planet Labs, a satellite operator, leased 25,000 square feet at 346 Ninth Street for five years. The rent for both deals was $56 per square foot, according to CompStak. The non-CBD vacancy rate dropped to 3.1 percent in the fourth quarter of 2014 from 10 percent in the fourth quarter of 2013, according to Cushman & Wakefield. The central business district vacancy rate dropped slightly to 7.7 percent from 8 percent during the same period. Tight vacancy outside the central business district, including in South of Market, has made finding high quality space challenging for companies. This lack of availability means that rent growth in SoMa could slow because there aren't many Class A leasing options left, said Robert Sammons, regional research director at Cushman & Wakefield.